We're here to help you answer some of the most common orthodontic questions. What About My First Appointment? We are all working together to give our patients something special. That’s why your first visit is important to us. What is a Diplomate of the American Board of Orthodontics? A Diplomate of the American Board of Orthodontics is a rigorous professional credential requiring case presentation of finished treatment results – representing a broad range of treatment categories. A board of experts in the field scrutinizes the treatment outcomes for excellence at extremely high standards before awarding the status of Diplomate. This is a credential that only 20% of all orthodontists attain. Two-phase treatment is not a clever way for orthodontists to get you into two sets of braces, we promise. This is not recommended. If your child needs Phase I treatment this usually means that he or she has a difficult problem that requires attention now. If no orthodontic action is taken, treatment options become limited, more difficult, and the long-term stability may be compromised. In addition, it may lead to extractions, jaw surgery, and increased costs. 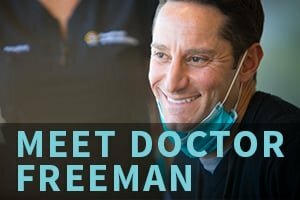 This is when you get to meet our team, learn more about orthodontics, receive a complete initial exam, and find out which treatment options will best meet your needs. We understand that "life happens," so we work with you to make sure that your appointments are scheduled around your busy schedule. We want you to spend less time in the dental chair, and more time enjoying the things you love. During your first appointment you can ask about all our financing options. 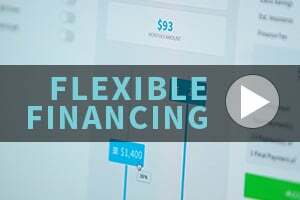 We believe financing should be easy and affordable. We will explain everything that you will need to know about your orthodontic treatment, so that you can choose what's best for you – no strings attached. To get started give us a call at (408) 274-6111. We simply answer your common orthodontic questions. If you didn’t find the information you were looking for, we want you to feel free to contact us at (408) 274-6111. We’re here to help you answer some of the most common orthodontic questions.